My ancestors have been in America since the early seventeenth century. And for the first two hundred and forty-four years we never had a problem finding a job. But since 1863 it's been hell. It's been hell because the ideas and attitudes that America had toward slaves followed them out of slavery and became entrenched in the nation's psyche. Ideas that said that Blacks were sub-human, that they were lacking in moral personality, that they were unbaptizeable, that they were lazy, shiftless, watermelon-eating, chicken-stealing, oversexed, loud, menacing appendages to the polite, civilized society that the Europeans had wrestled from, what the Honorable. The audience is with Ruben Santiago-Hudson even as he walks up the aisle and onto the wooden platform of David Gallo's superbly apt set. He gets the anticipated laughs with his jokey opening about his ancestors never having had unemployment problems during their first two hundred and forty-four years in America. And that rapport holds for the entire hour and twenty minutes during which Mr. Santiago-Hudson steps into the shoes of the late Pulitzer-Prize winning playwright August Wilson. When Wilson and his long-time friend and collaborator Todd Kreider first fashioned some of his oft-told stories into How I Learned. What I Learned for Seattle Repertory Theatre in 2003, Wilson was still alive to play himself (his first and only gig as a performer). Kreider couldn't have wished a better actor than Santiago-Hudson as Wilson's stand-in for the current remounting at the Signature Theare Center. Santiago-Hudson, who appeared in New York productions of Gem of the Ocean and Seven Guitars, and also directed several of his plays, transcends impersonation and becomes Wilson. Nor could one wish for a more perfect set than David Gallo's simple wooden platform with a stool and a hat rack backed by a stunning backdrop of thousands of pages to signify Wilson's prodigious output. Yet Wilsons's anecdotes about people, events and the Hill District neighborhood in Pittsburgh in which he grew up falls short of being completely satisfying. You can't help wishing that Wilson had lived to turn these reminiscences into a full-fledged autobiography, and this piece into a less scattershot cross between lecture and comic riff presentation. Quibbles notwithstanding, How I Learned. . . does give audiences a picture of what shaped Mr. Wilson's beliefs and the brilliant cycle of plays, all but one of which, were set in that Pittsburgh Hill District. Each anecdote is preceded by a title neatly projected by Gallo on his clever backdrop. Won't You Be My Neighbor?" sees the actor removing his hat and coat to reveal the back and then front of his t-shirt—the back: I am an accident/ This did not/ Turn out right". . .the front: "I Am/Supposed/To Be/White." His buying that t-shirt for his friend Justin Timberlake leads to reminiscences about other people he's known. The subject of racism permeates all these stories, especially the early encounters with prejudice. As a high school dropout his work life started with menial jobs and even being briefly jailed for not paying his rent. The lack of formal schooling notwithstanding, Wilson's artistic inclinations surfaced during his days as an aspiring young poet when one of his mentors and influences was a poet and heroin addict named Chawley Williams. Though the poet became a playwright, his plays were imbued with the inherent rhythm of poetry and music. Speaking of music, the incidental music adds a nice flavor to the show,as do Wilson's encounters with an unknown jazz musician named Cy Morocco and the more famous John Coltrane. If August Wilson's plays met with one consistent criticism it was that they were too long, especially his first acts. But watching the titles of those ten long but magnificent plays pop up on David Gallo's pages underscores that How I Learned What I Learned is an interesting footnote to August Wilson's life and career, but that there's nothing like the real thing. 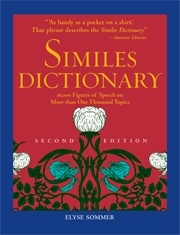 It is a lingo that has an inherent rhythm of its own. 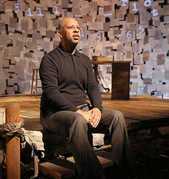 For a link to our Author's Album August Wilson page Go here. Co-conceived with and directed by Todd Kreidler, in collaboration with and featuring Ruben Santiago-Hudson. Running time: 1 hour and 20 minutes, no intermission. From 11/04/13; opening 11/24/13; closing 12/22/13.